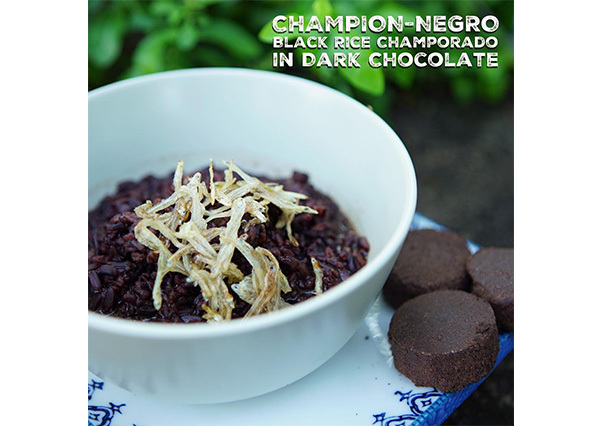 In a clear pot, simmer water and tablea until it dissolves. Do this in low heat. Add cooked black rice. If you want a thicker consistency, soak the rice before cooking it. Cook for about 10-15 minutes over low heat then set the pot aside. Stir in honey and adjust to how sweet you want it. For garnish: coat the tip of wooden teaspoon with some honey. Let it drip. Then cover with dulong tossed in seaweed salt.